Netflix has achieved stunning returns for patient investors. But these companies could do even better. There's no denying that Netflix (NASDAQ:NFLX) has handsomely rewarded patient shareholders in recent years -- and not just those who bought the stock for less than $0.50 per share shortly after its 2002 IPO. As of this writing, Netflix has soared 1,200% over the past five years alone to trade at $390 per share. Of course, some investors predict that Netflix is only just getting started. But this also raises the question: Are there any stocks on the market today that could put even Netflix's returns to shame? We asked three top Motley Fool investors exactly that. Read on to learn why they think iQiyi (NASDAQ:IQ), XPO Logistics (NYSE:XPO), and Enphase (NASDAQ:ENPH) fit the bill. Steve Symington (iQiyi): Many investors undoubtedly regret not buying Netflix in its early days as a publicly traded company. But I think iQiyi, the so-called "Netflix of China," offers investors today a perfect second chance to achieve even greater gains. Fresh off its IPO in late March, iQiyi already caters to an enormous ad-supported base of roughly 845 million monthly active users. But early last month, iQiyi also revealed it now has over 61 million paying subscribers, or less than half of Netflix's 125 million streaming subscribers at the end of last quarter. With a fast-growing middle class in the nation of 1.4 billion people increasingly willing to pay for high-quality entertainment, its more lucrative paid base still enjoys an enviable runway for growth over the next several years. But iQiyi has much grander plans than "just" video streaming. Over the next few decades, the company hopes to build itself into a diversified entertainment conglomerate that's much more similar to Disney than Netflix. According to recent comments from iQiyi CEO Gong Yu, that will entail "building an ecosystem based on content and IP such as literature, comics, light novels, and gaming." For investors who buy now before that broader effort becomes clear, I think iQiyi stock could easily put Netflix's returns to shame. Guess which stock's riding the e-commerce wave? Neha Chamaria (XPO Logistics): Let's face it: There's just no stopping Netflix, which makes beating it even tougher. 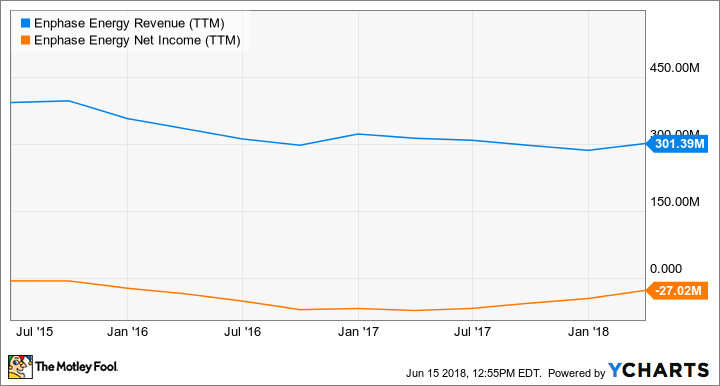 Yet, there's one stock that's growing at a torrid pace, having done more than half as well as Netflix in the past five years -- that still makes it a fivebagger -- and showing tremendous potential for growth in coming years. I'm talking about XPO Logistics. You know why I'm stacking XPO of all companies against Netflix? I see a similarity in the way both companies have approached growth: the knack to spot opportunities before others and creating a footprint big enough to make competition tough. So if Netflix saw streaming as the next big thing in video watching, XPO saw last-mile delivery as the future of e-commerce. Today, XPO is the largest last-mile provider in North America, handling the delivery of heavier goods like furniture and home appliances to consumer homes with deft and helping e-commerce platforms meet their tight delivery schedules. Over the years, XPO's acquisitive strategy and an asset-light business contributed heavily to its growth. Now, the company is making some really smart moves, including the launch of XPO Direct, which allows retailers to rent out its warehouses and delivery fleet cost effectively instead of setting up their own, and introducing voice-enabled package tracking for consumers via Amazon Alexa and Google Assistant. XPO clearly understands industry dynamics well and has its pulse on consumers' evolving needs. With that, there's no way the company shouldn't make it big as e-commerce takes off. Travis Hoium (Enphase Energy): Inverters aren't the sexiest business in energy but they're a critical component to every solar installation. When the sun hits a solar panel and generates power, it's in the form of direct current (DC), which has to be converted to alternating current (AC) that we use in our electrical grid. The inverter is what does the conversion. Enphase Energy makes the conversion from CD to AC quick and painless for solar panel installers because it supplies microinverters that are attached to the solar panel itself. Some companies, like SunPower, are even installing Enphase Energy's microinverters at their plants and shipping them to installers pre-assembled. This saves cost on installation and reduces the number of components installed on each home or commercial rooftop. The reason I think Enphase Energy is set up for big gains in the future is its recent revenue stabilization and improvements on its bottom line. ENPH Revenue (TTM) data by YCharts. To add to this, the company recently bought SunPower's microinverter business and signed the module manufacturer up as a customer. The deal is expected to add $60 million to $70 million to Enphase's revenue and generate a gross margin of 33% to 35%. If those projections hold, the company could return to profitability within the next year, and if it's able to leverage the growing residential and commercial solar markets, it could be a great growth stock over the next decade, generating huge returns for investors. We can't guarantee that these three stocks will be able to jump over the high bar that Netflix has set. But whether we're talking about iQiyi's ambitious plans for the future, XPO's astute industry positioning, or Enphase's recent revenue stabilization and impending return to profitability, we think the chances are high that they could do exactly that. And we believe anyone looking to put money to work in stocks could do well to invest accordingly.